Construction of Westvind started in March 1913. 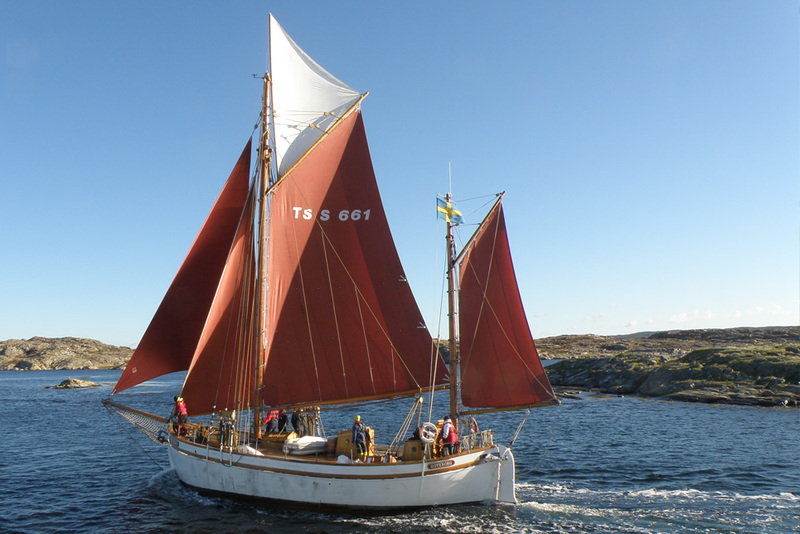 Shipwright Anders Mattsson built her as a gaff ketch in Kungsviken on the isle Orust on the Swedish west coast. The order came from the fishing team Vestvind of Kalvsund in the Gothenburg northern archipelago. At delivery in 1914, she was equipped with a 20 hk Ideal engine, her district fishing registration number was GG 548. 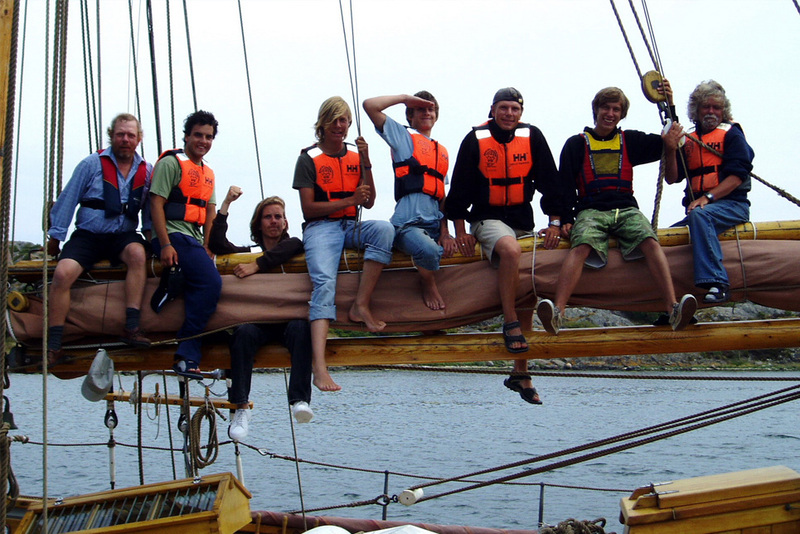 Natanael Nilsson, who later took the name Ludvigsson, was Westvind’s first skipper. 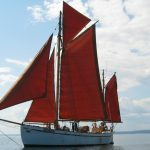 His son, Inge Ludvigsson, says that she was used in fishing up until 1924, when she was sold to Halsbock on Tjorn to be a fish freighter. In 1926, Westvind found a new home on Ramholmen on Skafto. 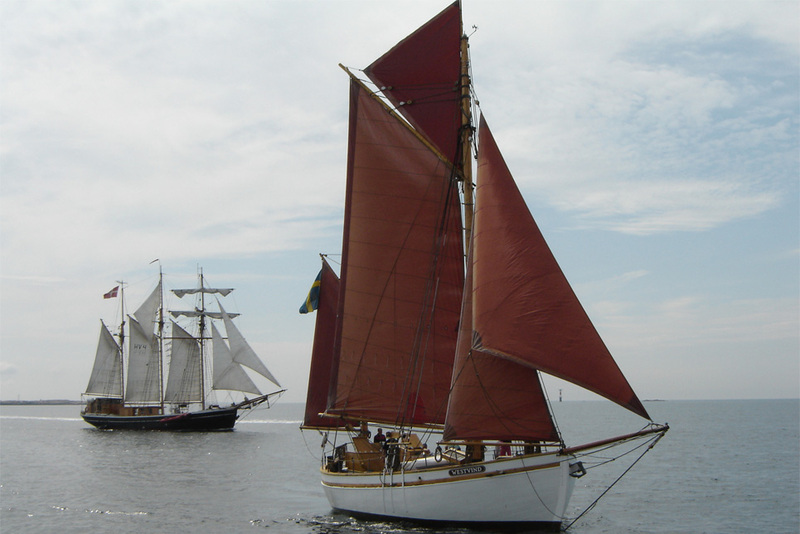 Skipper Albert Svensson renamed her "Vera" and she was then used as a cargo freighter. 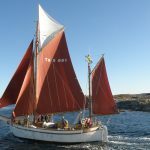 During the war, in 1942 or 1943, Vera (Westvind) was sold to Grundsund and was given a new fishing registration number, LL 201. By the end of the war, it’s uncertain what happened, but there are rumours about refuges from the Baltic States being shipped over to Canada. In 1946, Vera was refitted and became a tanker. She had tanks installed in the cargo hold and on deck. According to the rating certificate of 1946, Rederi AB Stjornan owned her. In 1955, the name changed to Svensk Andelsfisk AB, Goteborg. She also serviced the oil company OK, stationed in Onnered and on Ostol. In 1978, Morgan and Christina Ohlqvist bought Vera from Gorel Hogg, who had been the owner since 1976. 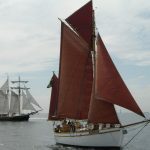 Morgan and Christina made some serious alterations and repairs to the ship, and the plan was to convert her to a leisure yacht for the family. Gert Uthberg och Bjorn Jarde bought Vera in 1986. They started a complete renovation in earnest; the goal was to register her for oceanic passages. Most of the work was done at Kurt Sorensens Skibs-og Bodebyggeri in Aalbaeck in Denmark. In 1988, a Volvo Penta MD100 replaced the 2-cylinder June Munktell tondkule-engine that was fitted at the time of purchase. New water tanks and septic tanks in stainless steel were fitted. She was also given a brand new rigg. After the hull renovation in 1989, she was given back her original name, Westvind. 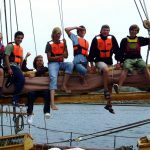 The first summer under sail was 1991, but there was still a lot of work required on the interior and equipment. At the survey examination in 1994, she was registered for costal traffic. During the spring of 2002, Westvind was sold, in very good condition, to Thomas Gunnarsson, and a lot of additional renovations have been carried out over the last couple of years. 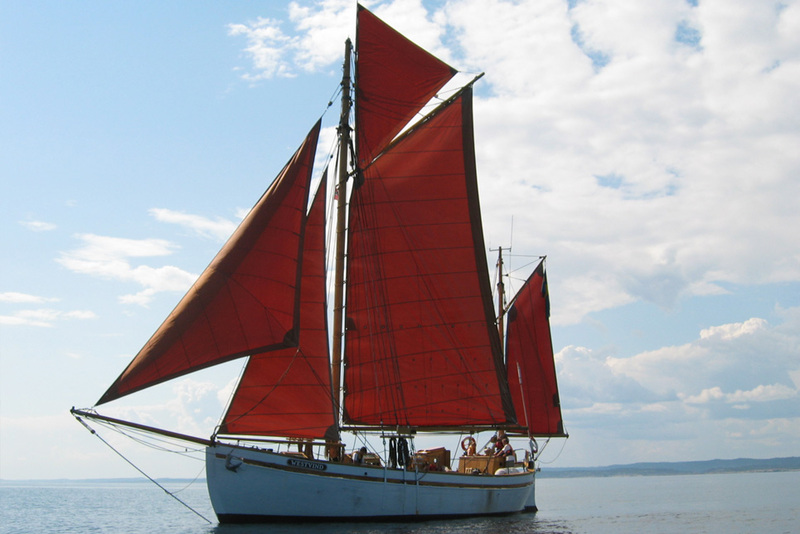 More recently, Westvind has received a complete new set of sails, new boom, and the hull from the waterline and up was fully serviced again.